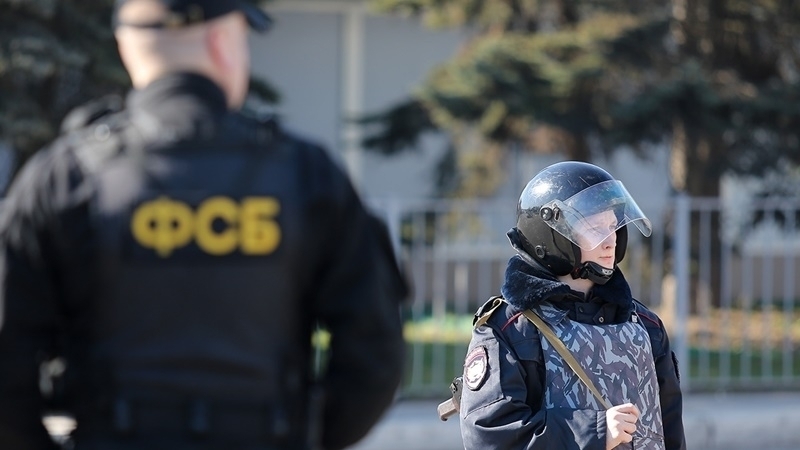 In the occupied Crimea in the city of Bakhchysarai the security forces detained two Crimean Tatar activists, whose houses were searched earlier the same day, according to the reports of the Kremlin-controlled Crimean department of the FSB, as cited by Russian media. It is noted that Server Mustafayev and Edem Smailov are accused in the contrived "Hizb ut-Tahrir" case. “The aforementioned individuals are charged with committing a crime under part 2 of Article 205.5 of the Criminal Code ("Participation in the activities of a terrorist organization"). At present, operative and investigative measures are being carried out," reads the report. QHA inormed that in the occupied Crimea in Bakhchysarai the security forces conducted searches in the homes of Crimean Tatars Server Mustafayev and Edem Smailov. In the house of Eden Smailov three children were blocked, his wife was not allowed into the house. The security forces did not let lawyer Emil Kurbedinov To Mustafayev.